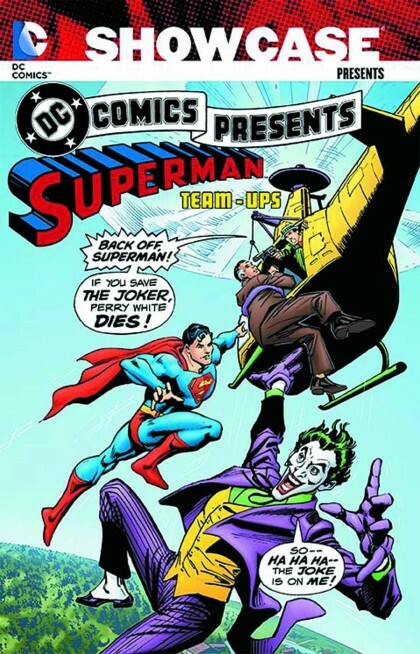 ANDY’S PICK :: Showcase Presents DC Comics Presents Number 2: Well that is quite a mouthful and this 500 page book is just loaded with goodies courtesy of the Superman team-up team. This volume collects #27-50 and DC COMICS PRESENTS ANNUAL #1! Superman teams up with Black Canary, Wonder Woman, The Flash and at least a dozen more. But most importantly, this volume includes the fabulous 5 issue story line that features Green Lantern,Martian Manhunter, Supergirl, The Spectre and depending on how you keep count, the fourth or fifth Starman (see below) and introduces that great villain Mongul the Merciless, ruler of WAR-WORLD!!! If Mongol reminds you of anyone–oh let’s say Thanos– it is because both were created by the triple threat creative team of Starlin/Starlin and Starlin. And this arch-villain is no push-over; it takes more than an exploding Candy Gram to defeat this Mongul (even though Mongul likes Candy!) Deep into this story arch, Superman has a memorable team-up with the Spectre as well as a cameo from one of the biggest surprise guest-stars in Comic book history. It is required reading for fans of late ’80s comic books–I swear to God. ← HEROES ANNOUNCES JUSTIN CROUSE AS STORE MANAGER!